Understanding the happiness of your clients is one of the most important parts of client retention. Time To Pet makes it simple to see what your clients love and what they don’t. 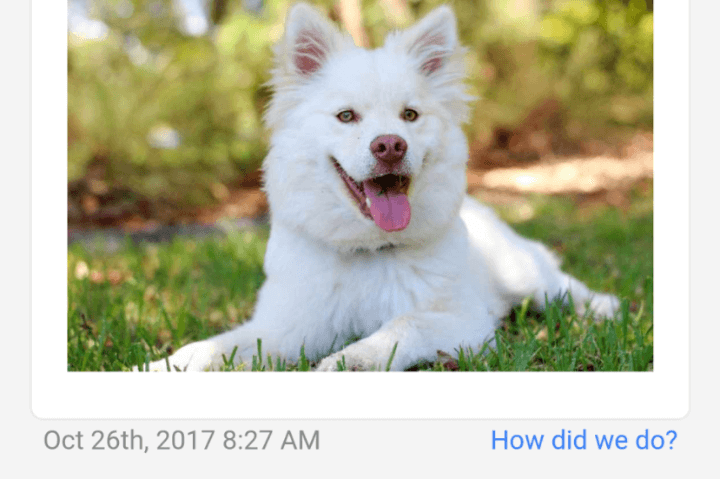 Keeping your finger on the pulse of your business is essential for pet sitters and dog walkers. As the saying goes - keeping a customer is much less expensive than finding a new one. 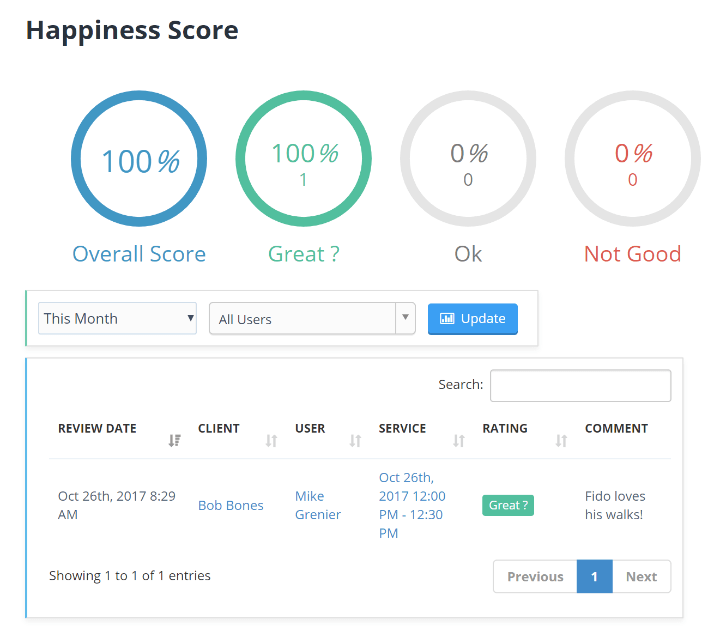 The happiness survey allows you to understand how your customers really feel about your company and your staff. Every time a customer submits a happiness survey - they have the option of providing notes. 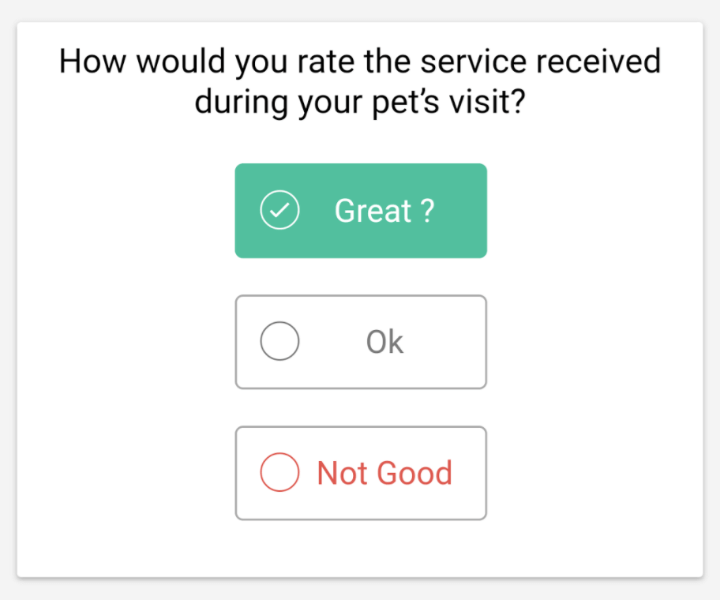 Time To Pet will inform you of a new survey and any notes included. That means you can quickly identify any possible issues and address them before they become problems. The happiness survey is simple. Your client can rate an event as positive, neutral or negative. They can add any notes they want and then submit their response. While the happiness survey is included on every visit - we’ve designed it to be incredibly subtle. 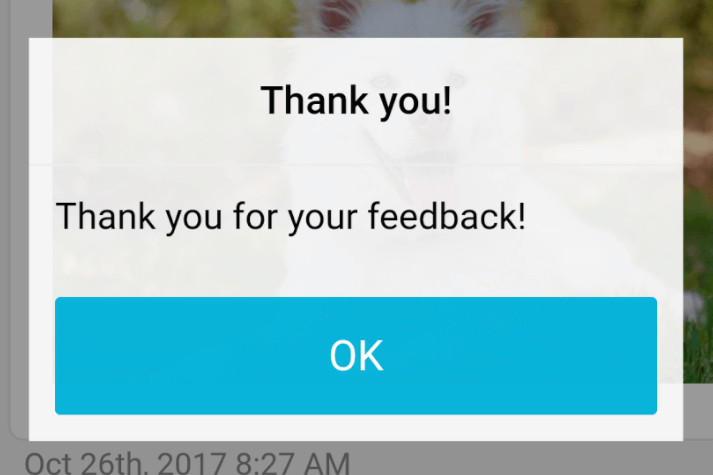 Your client can easily skip the survey if they do not want to submit any feedback.